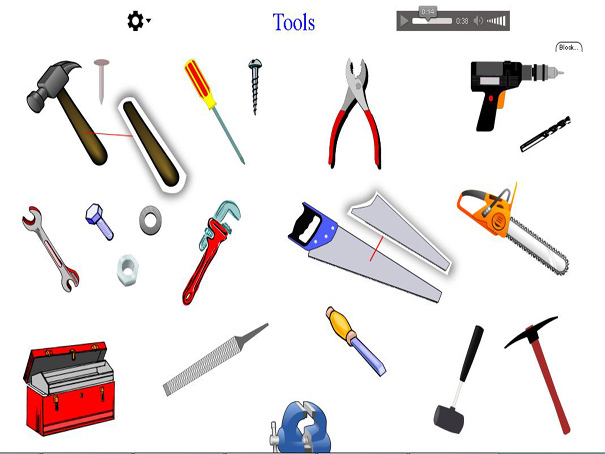 Roll over each picture and hear the correct name for each tool. How many do you know already? You can listen to the word as many times as you like to make sure you get the pronunciation right. It also gives you the correct spelling of each word.